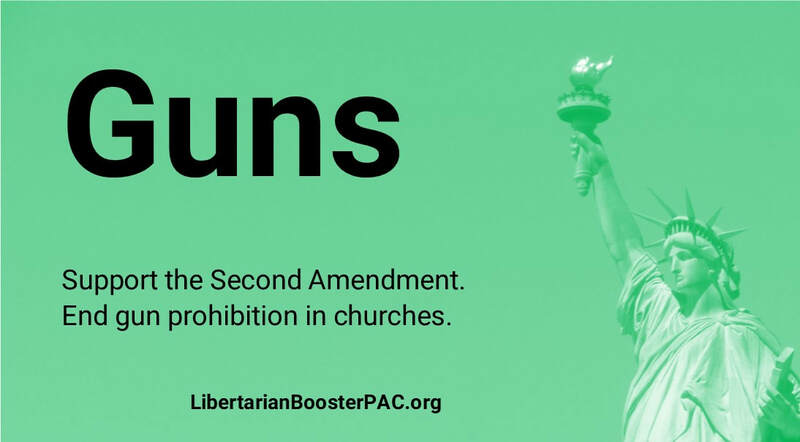 End gun prohibition in churches. We strongly support people’s right to own and carry firearms. In particular, we oppose laws that prohibit people from carrying weapons into certain private venues. We believe that private property owners should make the choice whether to allow firearms, not the government. In 2019, Senate Bill 1024 would have removed the blanket prohibition against carrying firearms in churches, but it died in a House committee. Although the thought of “guns in churches” may sound dangerous or even comical to many people, we believe that the churches themselves should make the decision whether to allow firearms. For example, some churches may wish to allow firearms because they believe armed attendees would deter violent attackers. In 2019, a House committee killed Senate Bill 1024, which would have removed the blanket prohibition against carrying firearms in churches.